Republican Establishment Says to Hell With the Voters! 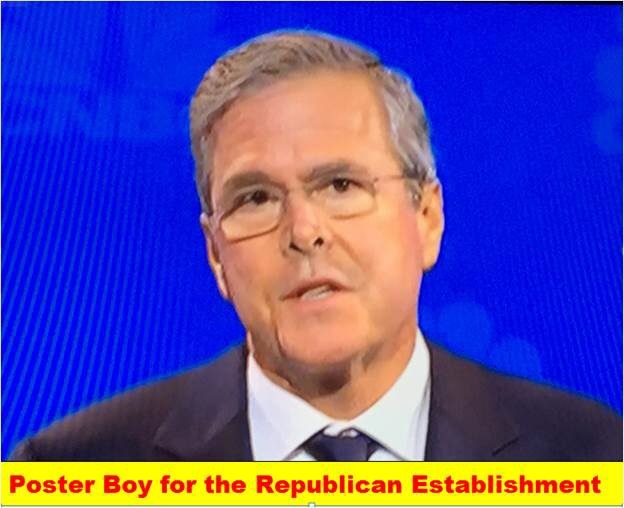 After their candidate Jeb Boy Bush withdrew, the so called “Republican establishment” had to find another candidate. They did not have to look far. Marco Rubio was ready and willing to accept their support. Only one problem, the voters in Florida knew the records of Bush and Rubio and rejected both of them. Mitt Romney, the Republican loser in 2012, endorsed Kasich. When does the endorsement by a pathetic candidate like Romney mean anything? Not much since Kasich has won only one state! Now Senator Lindsay Graham, who gave up his run for the presidency, has made a reluctant endorsement of Ted Cruz. One thing for sure, the Republican establishment knows what is best for America. It’s too bad the “establishment” is afraid to let the American people decide. Oh well, in 2007 the American people lost trillions in wealth as a result of the greed of the “establishment” and their friends on Wall Street. Trump may not be the right person to lead this country, but one thing for sure – let the American people decide. Not a few people on Wall Street! This entry was posted in Politics, Uncategorized and tagged 2016 republicans on March 18, 2016 by Good Day Illinois.